LABOUR SAYS LEAVE MEANS REMAIN! Yes, there is historical evidence that suggests that Jeremy Corbyn was once hostile to the EU. But ever since the 2016 EU Referendum and the binding decision by the UK people to Leave, the notion punted by some in the Fake News Media that Corbyn could be a white knight leading to the rescue of Brexit is farcical. We’ll get to that in a minute but first, a little background. We know that 70% of Labour constituencies in 2016 voted to LEAVE the EU. Millions of working class Labour voters firmly backed the call to get out of the EU. However Labour’s political leadership was virtually entirely pro-Remain and that position has, if anything, hardened during the period since the Referendum. 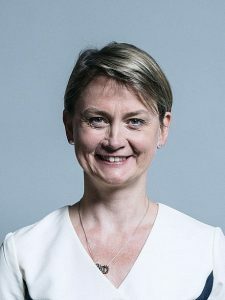 The schism between Labour politicians and Labour voters is all too clear when we look at Yvette Cooper’s constituency of Normanton, Pontefract and Castleford. It voted by a whopping 71% to LEAVE the EU. Cooper has been to the fore in demanding that a clean Brexit be stopped and at no point has she accepted the will of her constituents. This is a feature across Labour constituencies where the core voters chose to LEAVE in big numbers yet the MPS insist we must effectively Remain. It is a rebellion against their own voter base. Which brings us to the new Corbyn “compromise”. In the past few days, the Labour leader has written to Theresa May outlining ideas that could ensure he supports her in getting a “deal”! The core Corbyn idea is the the UK must stay in a permanent customs union with the EU. This means we must stay politically embedded in the EU and so this is a repudiation of Brexit. It would mean that since we would be in customs union with the EU we would be unable to strike any Free Trade Deals of our own. We would be no better off than we are today. Corbyn also demands that we remain in close alignment with the single market; that we a pledge to keep workers’ rights in line with those in the EU; that we make solemn commitments on UK participation in EU agencies; and “unambiguous agreements” on future security arrangements, including “access to the European Arrest Warrant”. Let’s be clear. This is Remain. It revokes every benefit of Brexit. Yet it is being spun by our treacherous media as a “soft Brexit” This would be bad but what is much worse is that I think it appeals to Theresa May. The EU has welcomed Corbyn’s suggestions. Remainer May can now find common ground with Remain Labour and shaft her own Brexiteers and the DUP in order to get the deal across the line. This is what will now unfold. The sheer scale of treachery underway at Westminster is staggering and be under no illusion – they all share one aim – STOP a meaningful Brexit.